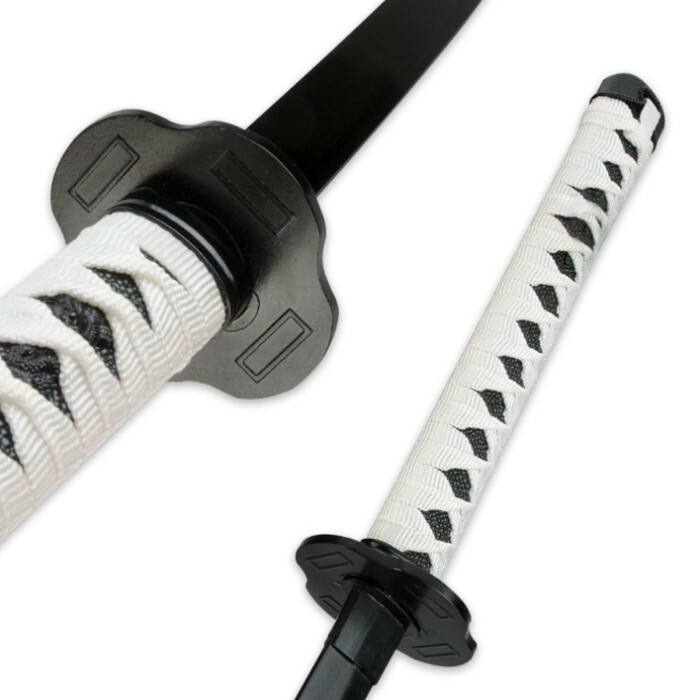 This contemporary take on traditional Samurai katana swords features a striking two-tone black and white color scheme that is elegant and eye catching. 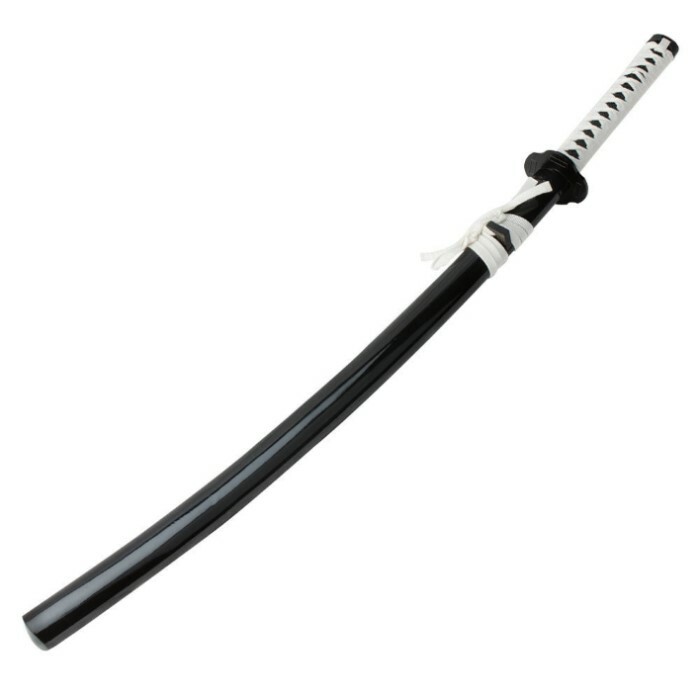 This top-quality katana sword features a massive 26-1/2" carbon steel blade with a heat-treated black finish. A unique guard and matching pommel complete the imitation ray skin and heavy cord-wrapped handle. The matching scabbard houses the powerful blade in exquisite old-world fashion. It has coordinating accents for a custom, one-of-a-kind look and feel. It's an authentic size at 38-1/2" in overall length. This is a really great sword if you're looking to have one that's just solely for decoration or showing your friends or placing on display. Note that the scabbard is pretty weak and will chip if hit hard enough but otherwise this is a really great sword! This katana is worth the money! 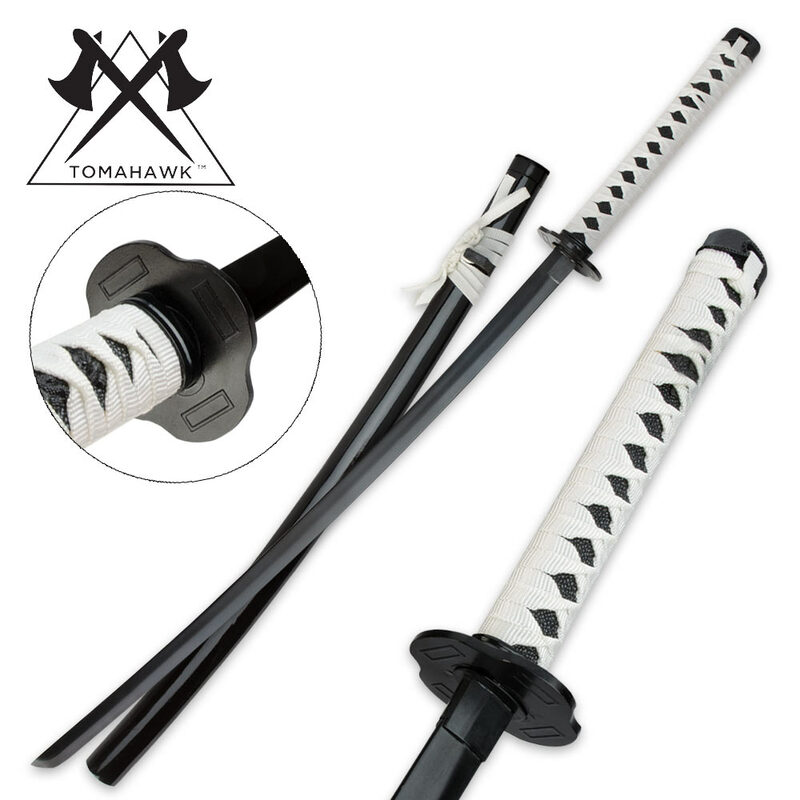 If you want a cheap katana get this one! This katana is amazing! It's really cheap and worth every dime!